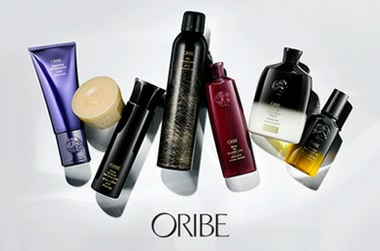 Today, one can't really know fashion without knowing Oribe. For more than three decades, celebrity hairstylist Oribe has collaborated with the world’s top fashion photographers and creative directors to create iconic, trend-igniting looks. His carefully curated product line, launched in 2007, is based on truly original formulations with the finest ingredients that protect hair from environmental stressors while providing maximum styling flexibility and a beautiful texture.These are the products of the hair-obsessed. Great Hydrating conditioner without weighing hair down. I have fine blonde hair but lots of it and I find this conditioner keeps it in good condition without the weight. If only the price point was cheaper, I would use this for life. I have dry, curly hair and am an avid user of Muk and Devacurl products in an attempt to nourish and tame my curls. I didn’t think this product would make a significant difference to my curls because I was already used to forking out $60+ for a conditioner and leave-in. I was wrong. My hair felt moisturised and more manageable than before. I received compliments on how glossy my hair was (shiny hair is not usually something curly girls can achieve). Although I still have to use my devacurl leave in products if I want to wear my hair natural, 5 stars for this conditioner. I have fine long blonded hair . Very fine but lots of it. I’m always at the beach so it’s pretty dry so I’m always looking for a really moisturising shampoo and conditioner but that doesn’t weigh my hair down. This does that!!! I live in Qld and my hair gets frizzy from humidity. Not anymore!!! My hair is so beautiful and soft and manageable. I’ve trued the signature, volume and blonde ranges and this is my favourite ! !